Excessive or unwanted hair that grows on a woman’s body and face is called hirsutism. All women have facial and body hair, but this hair is usually very fine and light in colour. 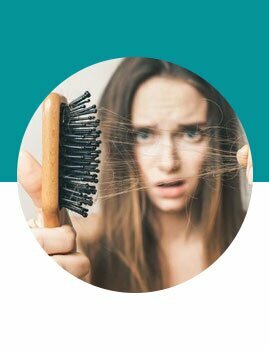 The main difference between normal hair and hirsutism is the texture which is usually coarse dark in colour and is similar to that of normal hair growth of males. The presence of excess body hair is embarrassing, and is sometimes indicative of hormonal imbalance that may compromise one’s health. 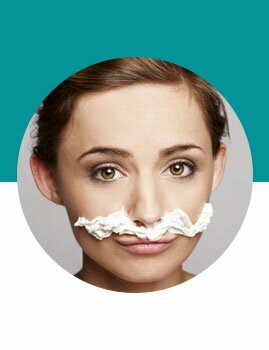 Women develop excessive body or facial hair due to elevated levels of male hormones. Male hormones are called androgens, and they include testosterone. All females produce androgens, but the levels normally remain low. Certain medical conditions can cause a woman to produce too many androgens, causing male-pattern hair growth and other unwanted male characteristics. What disorders lead to hormone imbalance (related to hirsutism)? Hirsutism tends to run in families. You may be more likely to have unwanted hair growth if your mother, sister, or another female relative does.